WASHINGTON (JTA) — Outgoing Secretary of State John Kerry signaled in a speech that the Obama administration was still considering action on the Israeli-Palestinian conflict in its final days, although it might fall short of a direct intervention on the issue. 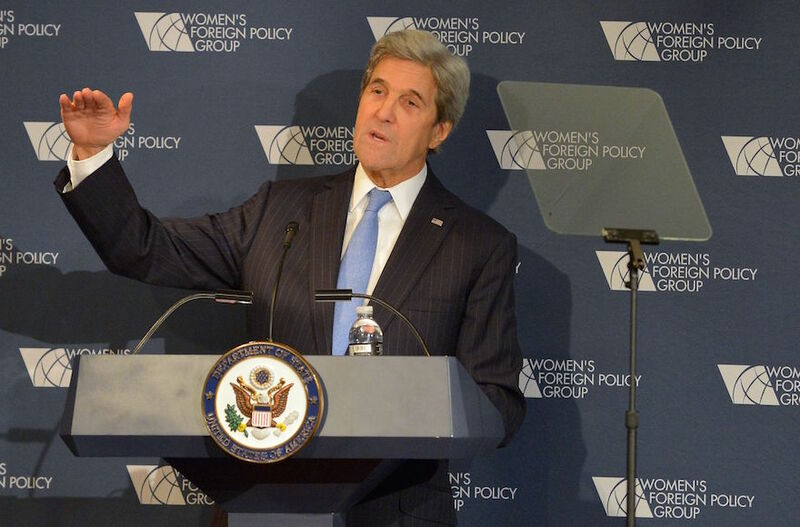 There’s no way to “force-feed” peace between Israel and the Palestinians, Kerry said in a lengthy speech delivered Tuesday at the Women’s Foreign Policy Group conference, but there are “other things we can do” to preserve a two-state solution. It’s not clear whether President Barack Obama favors any action on the two-state front, and Congress and the mainstream pro-Israel lobby have said they would vehemently oppose it. The Obama administration is coming under pressure from groups that favor an assertive U.S. posture on the Israeli-Palestinian conflict to take steps to preserve the two-state solution before Trump takes office. Former President Jimmy Carter in a New York Times op-ed this week urged Obama to back a U.N. Security Council resolution that would recognize Palestinian statehood. J Street, a liberal Jewish Middle East policy group, also has urged Obama to take actions to preserve two states as an outcome, including backing a “balanced” Security Council resolution. It’s not yet clear how Trump would approach Israeli-Palestinian peace. The president-elect has said he would like a crack at negotiating a deal. On the other hand, with his campaign’s approval, the Republican Party over the summer adopted a platform that for the first time since 2004 does not mention a two-state solution, and defers to Israel on what the parameters of peace negotiations should be. “Consider where we would be if Iran’s nuclear program was still going ahead full steam in the middle of all of this,” he said. Brennan, who is scheduled to depart as CIA director in January, told the BBC this week that it would be the “height of folly” for Trump to tear up the agreement, saying it would lead to a nuclear arms race in the region.